Fascinating documentary/play on Durruti by the theatre group Els Juglars. Vida y muertes de Buenaventura Durruti is a collage of interviews, debates between the actors, rehearsals. original footage. songs, etc to tell the tale of this revolutionary Robin Hood or fanatical working-class terrorist, and the impossibility of portraying such a complex figure faithfully. Vida y muertes de Buenaventura Durruti, anarquistaSe grabó durante los meses de febrero y marzo de 1999 en La Cúpula, sala de ensayos de Els Joglars en Pruit. El documental refleja el sistema de trabajo de la compañía a través del proceso de creación secuido para recrear el personaje de Durruti y las circunstancias históricas que le rodearon y de las que fue protagonista. Dirigido por el cineasta francés Jean Louis Comolli autor de seis películas de ficción y una veintena de documentales. Vida y muertes de Buenaventura Durruti, anarquista se presentó en el Festival Internacional de Cine de Valladolid, fuera de concurso, dentro de la sección Tiempo de historia. Song in homage to Durruti and his group Los Solidarios by Chicho Sánchez Ferlosio: “Homenaje a Los Solidarios” (“Homage to Los Solidarios”). Hans Magnus Enzensberger The Short Summer of Anarchy: Life and Death- Fascinating documentary or collage novel. Durruti in the Spanish Revolution by Abel Paz. Told very much from an admiring point of view, but still extensively researched and highly informative. AK Press has commissioned an elegant, new and unabridged translation of the definitive biography of Spanish revolutionary and military strategist, Buenaventura Durruti. But Abel Paz, who fought alongside Durruti in the Spanish Civil War, has given us much more than an account of a single man’s life. Durruti in the Spanish Revolutionis as much a biography of a nation and of a tumultuous historical era. Paz seamlessly weaves intimate biographical details of Durruti‘s life-his progression from factory worker and father to bank robber, political exile and, eventually, revolutionary leader-with extensive historical background, behind-the-scenes governmental intrigue, and blow-by-blow accounts of major battles and urban guerrilla warfare. An amazing and exhaustive study of an incredible man and his life-long fight against fascism in both its capitalist and Stalinist forms. 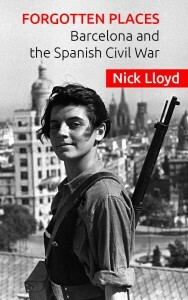 It has often been said, remarked John Hewetson in War Commentary for Anarchism, four years after the end of the Spanish Civil War, that the Spanish Revolution of 1936 threw up into prominence no ‘world figures’ comparable with Lenin and Trotsky in the Russian Revolution. But, says Hewetson, an exception must be made in the case of the anarchist Durruti. He symbolised in his person the struggle of the revolutionary workers and peasants of Spain. Brenan says that both Ascaso and Durruti were fanatics who, through their feats of daring, made themselves the heroes of the Catalan proletariat; they were the ‘saints of the anarchist cause’, showing the way by their example. Thomas says that, for some, Durruti was a ‘thug’, a ‘killer’ and a ‘hooligan’;for others he was the indomitable hero, with a fine “imperious head eclipsing all others, who laughed like a child and wept before human tragedy”. George Woodcock calls him “the celebrated guerrilla leader” and an idealist. Vernon Richards also refers to him as a guerrilla ‘leader’, but not the kind to ‘direct’ the masses. Federica Montseny said that Durruti was a kind man, with a “Herculean body, the eyes of a child in a half-savage face”. He was a man of the people who did not impose himself on others. Liberto Callejas has spoken of his idealism, of his perseverance and his firmness. “Above all, Durruti was a proletarian anarchist”, who moulded himself on the teachings of the anarchist Anselmo Lorenzo. Durruti, he said, was a propagandist who preferred simple words. He insisted on clearness. When he spoke on a platform, his audience well understood what he said. And like Makhno, Durruti was often gay. Emma Goldman, when she met him during the fighting, said that she found him “a veritable beehive of activity”. Durruti was born in León, Spain. He started work at the age of 14 in the railway yard in León. In 1917 the socialist Unión General de Trabajadores (UGT) called a strike in which Durruti was an active and prominent participant. The government brought in the Spanish Army to suppress the strike; they killed 70 people and injured more than 500 workers. 2,000 of the strikers were imprisoned without trial or legal process. Durruti escaped to France. During his exile, Durruti worked in Paris as a mechanic. 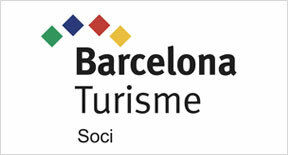 In 1920, he was persuaded to go to Barcelona to organise the workers there. In Catalonia, with Juan García Oliver, Francisco Ascaso, and a number of other anarchists, he founded Los Solidarios (“Solidarity”). Members of this group attempted unsuccessfully to blow up King Alfonso XIII. In 1923 the group was also implicated in the assassination of Cardinal Juan Soldevilla y Romero, as a reprisal for the killing of an anarcho-syndicalist union activist Salvador Seguí. After Miguel Primo de Rivera seized power in Spain in 1923, Durruti and his comrades organized attacks on the military barracks in Barcelona and on the border stations to France. These attacks were unsuccessful and quite a few anarchists were killed. Following these defeats, Durruti, Ascaso and Oliver fled to Argentina. They subsequently travelled widely in Latin America, visiting Cuba and elsewhere. Durruti and his companions returned to Spain and Barcelona, becoming an influential militant within two of the largest anarchist organisations in Spain at the time, the Federación Anarquista Ibérica (FAI), and of the anarcho-syndicalist trade union Confederación Nacional del Trabajo (CNT). The influence Durruti’s group gained inside the CNT caused a split, with a moderate faction under Ángel Pestaña leaving in 1931 and subsequently forming the Syndicalist Party. Working closely with his comrades in the FAI and CNT Durruti helped to co-ordinate armed resistance to the military rising of Francisco Franco, an effort which was to prove vital in preventing General Goded’s attempt to seize control of Barcelona. During the battle for the Atarazanas Barracks, Durruti’s long-time comrade and closest friend Ascaso was shot dead. Less than a week later, on 24 July 1936 Durruti led over 3,000 armed anarchists (later to become known as the Durruti Column) from Barcelona to Zaragoza. After a brief and bloody battle at Caspe (in Aragón), they halted at Pina de Ebro, on the advice of a regular army officer, postponing an assault on Zaragoza. 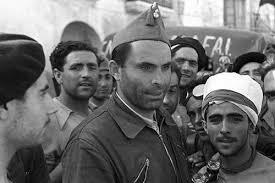 On 12 November, having been persuaded to leave Aragón by the anarchist leader Federica Montseny on behalf of the government, Durruti led his militia to Madrid to aid in the defense of the city. On 19 November, he was killed while leading a counter attack in the Casa de Campo area (See also Battle of Madrid). According to author Antony Beevor (The Spanish Civil War, 1982), Durruti was killed when a companion’s machine pistol went off by mistake. At the time, the anarchists claimed he had been hit by an enemy sniper’s bullet “for reasons of morale and propaganda”. We passed a little group of hotels which are at the bottom of this avenue (Queen Victoria Avenue) and we turned towards the right. Arriving at the big street, we saw a group of militiamen coming towards us. Durruti thought it was some young men who were leaving the front. This area was completely destroyed by the bullets coming from the Clinical Hospital, which had been taken during these days by the Moors and which dominated all the environs. Durruti had me stop the car which I parked in the angle of one of those little hotels as a precaution. Durruti got out of the auto and went towards the militiamen. He asked them where they were going. As they didn’t know what to say, he ordered them to return to the front. The militiamen obeyed and Durruti returned towards the car. The rain of bullets became stronger. From the vast red heap of the clinical Hospital, the Moors and the Guardia Civil were shooting furiously. Reaching the door of the machine, Durruti collapsed, a bullet through his chest. He died on 20 November 1936, in a makeshift operating theatre set up in what was formerly the Ritz Hotel at the age of 40. The bullet was lodged in the heart, and the diagnosis was “death caused by pleural hemorrhage”. The doctors wrote a report in which the path of the bullet and the character of the wound was recorded but not the calibre of the bullet, since they hadn’t removed it and there was no autopsy. Durruti’s body was transported across country to Barcelona for his funeral. Over a half million people filled the streets to accompany the cortege during its route to the cemetery on Montjuich. It was the last large-scale public demonstration of anarchist strength of numbers during the bitter and bloody Civil War.